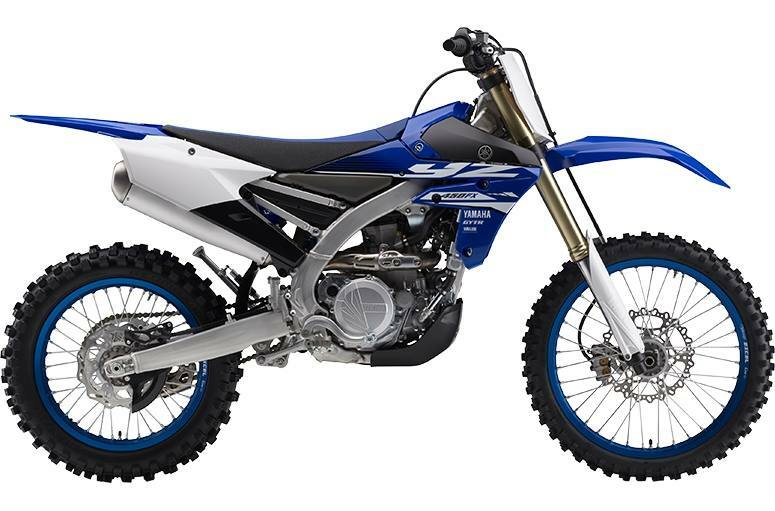 The YZ450FX comes with a world championship winning heritage. Our engineers draw on the highest level of competition for inspiration & innovations. 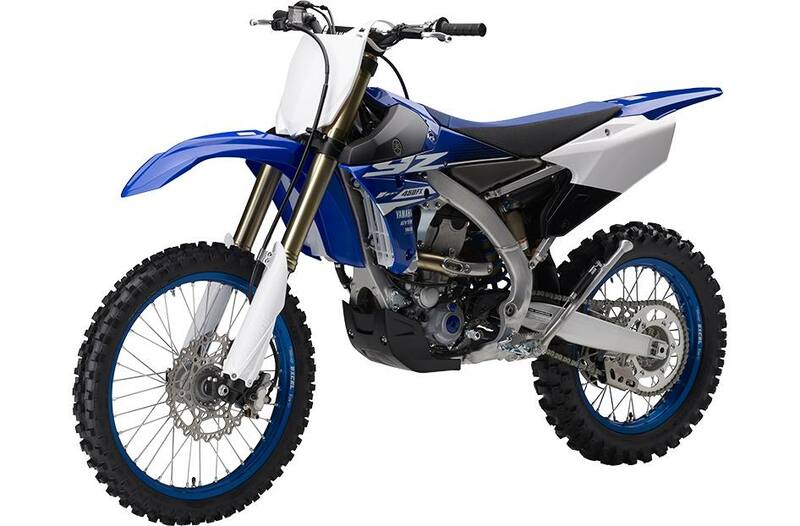 From engine design to suspension to exterior styling, the racing performance & presence of our YZ models can be found throughout our entire competition model lineup. 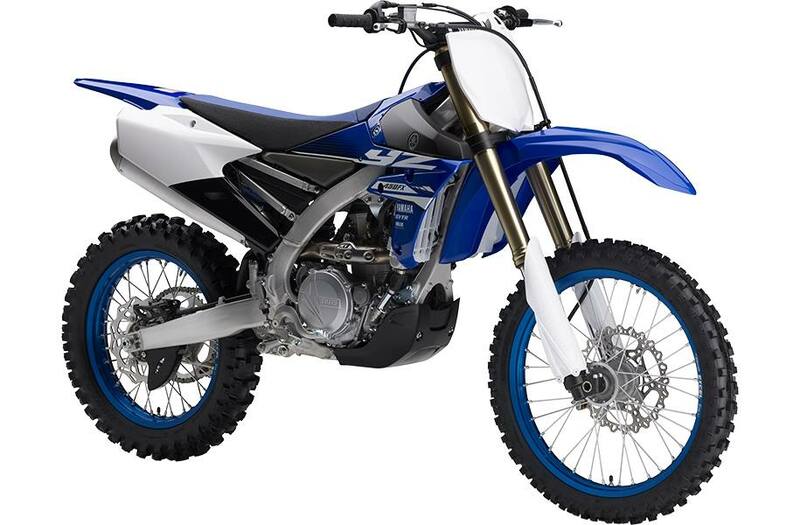 Power: At the heart of the YZ450FX is our proven YZ450F rearward slanted, "reversed" fuel injected engine featuring cross country oriented tuning. Electric starting is a feature many riders will appreciate and along with its wide ratio transmission, adds serious versatility to the largest member of our "FX" family. Whether competing in cross country events, vet motocross, ice racing or even snow biking, the FX is a winning choice. Frame, Suspension & Brakes: Compact "Bilateral Beam" aluminum frame centralizes mass for exceptional handling & light weight manoeuverability. By centralizing mass, our engineers have produced a machine that feels and handles more like a 250. 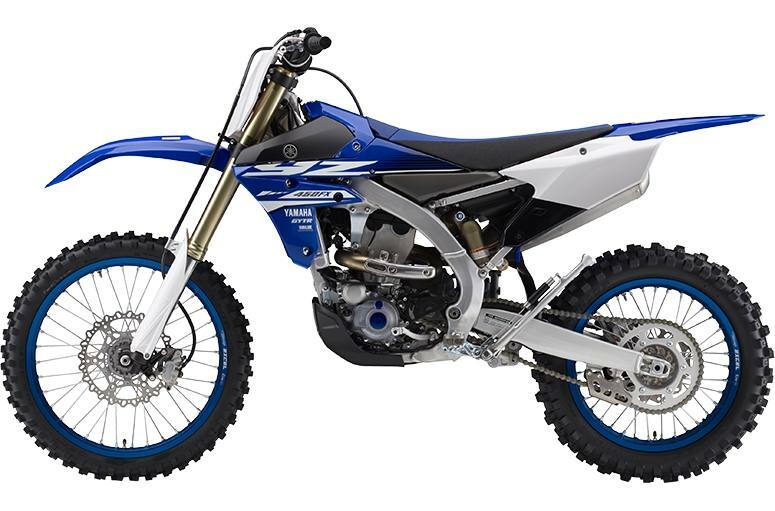 Add in our YZ based, easy to tune KYB "SSS" suspension and your trophy case just might need an extra shelf. Fuel Delivery: Keihin 44mm throttle body F.I. Fork features a twin-chamber, "Speed Sensitive System" design meaning the damper unit is in a separate structure (completely separated air & oil chambers) which prevents aerated fork oil from entering the inner damper assembly and degrading its damping abilities. Since the inner damper is pressurized, it also eliminates bubbles forming in the oil: TCV enhances damping from mid to full stroke & improves bottoming characteristics; TCV offers more precise control throughout the full suspension stroke; TCV is located on the upside of the spring & its function is controlled by piston speed, not piston position, hence the term "Speed Sensitive System fork". Fork also features a Transfer Control Valve (TCV): TCV enhances damping from mid to full stroke & improves bottoming characteristics; TCV offers more precise control throughout the full suspension stroke; TCV is located on the upside of the spring & its function is controlled by piston speed, not piston position, hence the term "Speed Sensitive System fork".